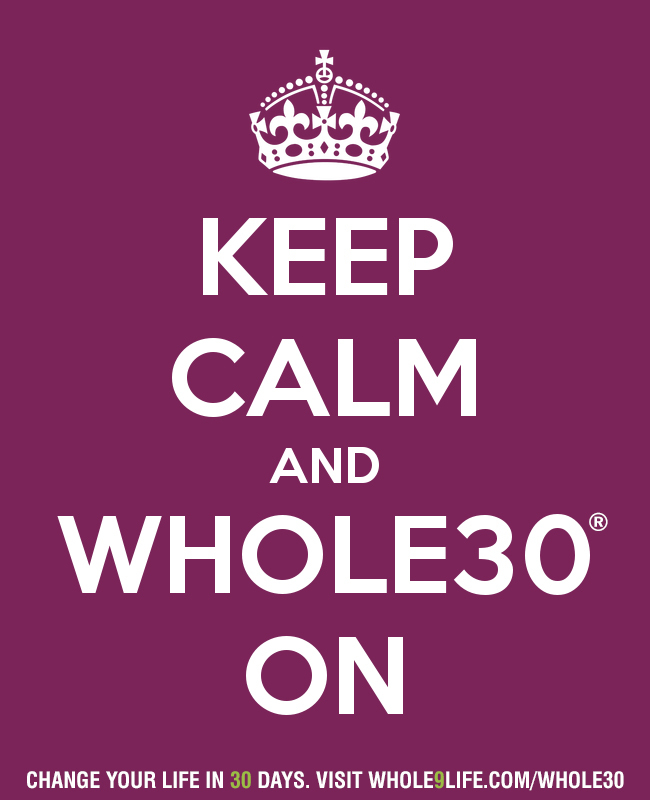 I finished up my Whole 30 on January 30…and I decided to keep going with it. So today is actually Day 44 for me (I’m not really counting but figured it out for the sake of this post.)! Not sure how long I’ll go – maybe through the end of February. We’ll see…I really don’t mind it at all. I had been having some back pain and joint pain in my hands before I started. And during the night, my hands would fall asleep and would ache and have “pins and needles”. Around Day 5-6, it all cleared up. I had more energy, and I slept better. I lost 14 pounds…woot woot! I had some slight eczema…gone. And…the acne that I have had for the past 30 years cleared up within three weeks. I can only attribute this to a dairy sensitivity. When we were on GAPS, I never had that long of a break from dairy. Maybe a week. I had myself convinced that dairy and I were OK. Sigh. I love cheese. Pretty cool though to finally get that resolved…after only three decades lol. And I have still been able to eat ghee (clarified butter) – seemingly without problem. I am using this as a transition to long term Paleo. THIS IS NOT A FAD DIET. Sleep Update: I started that with the greatest of intentions. Really, I did. I have managed to move my bedtime from 11:30 to earlier so that is a positive thing. For awhile, I was really good about being in bed by 10:00…and then I was not so good again. Been reading in the “Paleo Approach” by Dr. Sarah Ballantyne about the importance of sleep, protecting your circadian rhythms, etc….and I know that’s definitely an area to work on SOON. So from here…I am actually planning to start the Autoimmune Paleo Protocol soon. Maybe in March. Probably in March. I’m mentally ready today but don’t actually have a plan lol so I know it would be bad to just start today. I think I’d like to just end the Whole 30 and launch right into AIP so I don’t have to give up chocolate all over again.